American Wholesale Property: Great flip with a HUGE profit margin! Great flip with a HUGE profit margin! 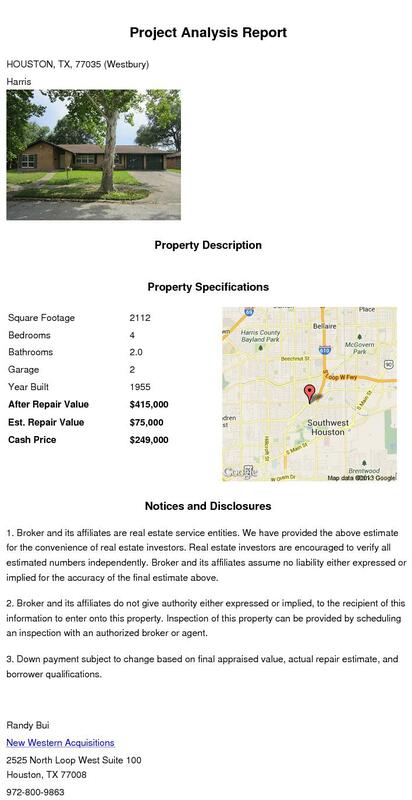 RARE flip opportunity in a highly sought after area by Meyerland. This neighborhood is zoned to Kolter Elementary, Johnston Middle, and Bellaire High School; it is the only Westbury pocket that is zoned to the same schools as Meyerland! This 4 bedroom house sits on a 11,485 sq ft lot and has great curb appeal. Do not miss out on this deal!